How to have fun in the sun this summer without taking on extra credit card debt. Summer has officially kicked off, which means that it’s a good time to set a summer budget. A summer budget can help you maintain stability over the next few months, so you can avoid credit card debt. With that in mind, the experts at Consolidated Credit have some tips that can help you build a budget that will help you stay on track this season. We’ve also included some free resources that can help you save even more. 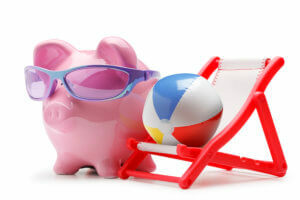 Summer is usually a time when many of the flexible expenses in your budget change. Flexible expenses are any expenses that are necessary in your budget, but have no fixed costs. This includes bills like your electric bill and water bill, as well as necessary expenses such as groceries and gas. All those expenses we just mentioned tend to increase in summer. Electric bills increase with higher A/C use. Water bills go up in summer as you water your grass more and particularly if you have a pool to fill at your house. Gas for your vehicles tends to be more expensive per dollar during summer. And if you have kids, your grocery bills can also increase since the kids are home during the day. To make things easy, look at how much your bills increased from May to June of last year. Review your checking account transaction statements and total up expenses in each of these categories. This will give you a measure of how much you can expect your costs to increase this year. This video teaches you how to make seasonal adjustments to ensure you maintain a stable foundation with your budget. If you’re taking a trip this summer, you hopefully already have your flights and accommodations booked. If not, then you need to book soon or you can expect to pay higher rates. In general, the sooner you book reservations, the less you can expect to pay. Outside of reservations though, start setting money aside out of each paycheck to use as spending money for the trip. This will give you several rounds of saving to generate cash, so you can avoid pulling out credit for every expense on your trip. Statistics show that 90% of us rely on credit cards to cover vacation costs. But that means you end up with credit card debt to pay off after your relaxing getaway… which just increases your stress right back up again. The more you can save to pay for daily vacation expenses and souvenirs in cash, the much happier you’ll be this summer. In addition to saving up for your trip, it’s important to find ways to cut costs. If you haven’t booked your accommodations yet, consider getting a room with a kitchenette so you can cook some of your meals yourself. Covering breakfast and some lunches on your trip can significantly cut the cost of food on your trip. Take as much as you can with you, so you can avoid higher prices at the hotel. You can take snacks so you can avoid vending machines and, if you’re driving, take things like floats and pool toys to avoid rentals. Look for deals on excursions, either through apps or in a destination coupon book. You should also look into local events going on during your trip to find fun (and often free) local entertainment. This video offers money-saving tips for your summer vacation so you can cut costs and avoid bringing home too much credit card debt. 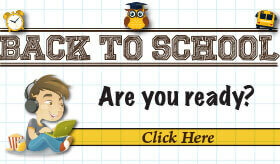 If you have kids, then statistically the back-to school shopping season is your second most expensive time of year. The only time of year that’s more expensive are the winter holidays. So, you need to start saving early for the back-to-school shopping. Again, review your budget to determine how much money you have to set aside every month for savings. Then, you can split that amount up between all your summer needs – vacation savings, back to school shopping and your regular emergency fund. If possible, set up a recurring transfer for the amount you want to save. That way, the money gets moved automatically into your savings account so you ensure you save effectively. As you set money aside for back-to-school shopping, also be on the lookout for sales. From school supplies to clothing, anything you can get at a discount should be purchased when it’s priced right. Most children come home with a school supply list of what they’ll need for next year. First, take inventory of anything that you have left over from last semester. Then, consider signing up for email coupons and savings alerts from your favorite office supply stores. You can also do the same for clothing. Hitting sales throughout the summer will help you avoid credit card debt in August. As we mentioned at the beginning of the article, vehicle gas prices invariably go up in the summer. Prices tend to increase by 50 cents or more, on average. So, you need to give your vehicle some love to maximize the miles per gallon that you can travel. These tips will help you increase your miles per gallon as much as possible. Then, use the right type of cooling when you drive this summer. Go with windows up and A/C on for highway driving to reduce drag. Then switch of the A/C and roll down the windows for stop-and-go city driving. People pay a tremendous amount of money for a new vehicle and consumers are stretching out their loans further and further each year. This booklet explains how consumers can save money when buying a car and helps you understand common mistakes to avoid. Electric bills can increase greatly during summer with the A/C running all the time, especially if you live in the southern United States. But even though you can expect your bills to increase, you can still take steps to keep them as low as possible. A good first step is to check with your local electric company to see if they provide a free energy audit or assessment. This assessment will help you identify places in your house where you may be losing or using too much power. They can tell you if your A/C is running at peak performance and if any appliances are draining power. You can use the results of the assessment to shore up your home against leaks and power drains that drive up your bills. Buy supplies, such as canned food and water, early so you avoid rushes at the store and higher prices. Prepare a waterproof folder with important documents, including titles and deeds, insurance policy information and wills. Put cash in the same waterproof folder in case ATMs are not operational during a crisis. Take pictures of any property of value so you have current pictures of anything that could be damaged during a major event. Also create a list of price estimates of your property and keep it handy with contact information for making insurance claims. Check your insurance policies to make sure you’re covered for any type of damage that you may encounter; know what your policies cover and what they wouldn’t. There are plenty of apps that can help you save money, not only during the summer, but year-round. However, these apps can be invaluable during summer, when people tend to drive more and need more entertainment options for the family. A good gas locator app, such as Gas Buddy, so you can find the closest cheap gas anywhere you are. A social outing discount app, such as Living Social or Groupon, so you can get the best discounts on local entertainment and attractions. If you like concerts, also consider getting a ticket app, such as Ticketmaster or Live Nation. Becoming a member of these services can get you access to valuable presales and exclusive money-saving offers. When the Federal Reserve raised interest rates earlier this year, they indicated it would not be the only increase this year. In fact, they expect rates to rise twice before the end of 2018. That means now is the time to get financing, particularly if you want to consolidate existing debt. Debt consolidation allows you to refinance existing debt at a much lower interest rate. You want the rate to be as low as possible, making it easier and faster to pay off your debt. So, if you plan on consolidating this year, it’s best to do it early before the Fed raises rates again.